Pardon me guys for not being regular on the blog but thats because I haven’t been keeping well for the past one week. Blame the weather change in Delhi! Fall fashion is in full swing and with it, the boho-inspired fringe trend that we first spotted in summer. Love it or not, the fringe flare is here. Bags, boots, dresses, tops or skirts, the fringe is on everything and is having a well-deserved moment. From cascading tops and dresses to more subtle applications on shoes and handbags, you can experiment with your own level of fringe-love. Fringes slapped on clothes or accessories have the magic power of looking trendy, and versatile. It is probably the hottest trend right now and we’re seeing it even on fall fabrics like faux suede and knits. Fringe bags or fringe clutches too are massive this season, and so is fringe jewellery be it bracelets, neckpieces, earrings or belts. 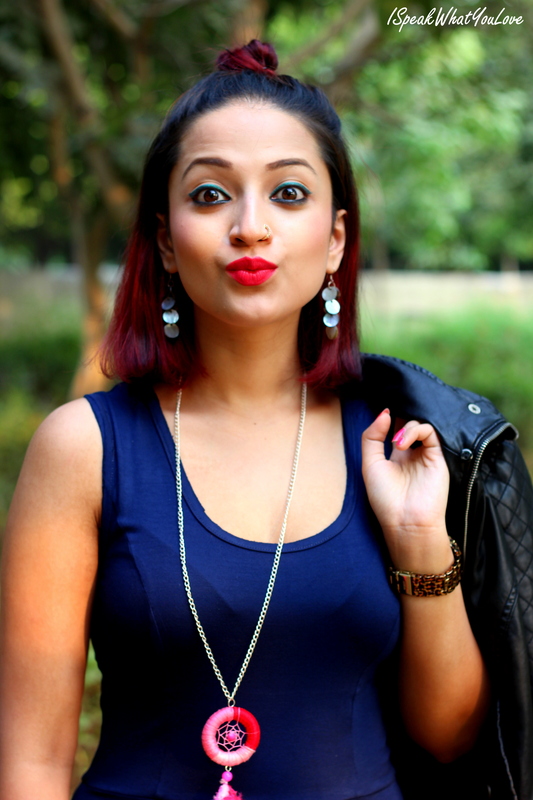 In this post here, you can see me sporting two of my favourite picks from StalkBuyLove‘s latest collection. I had been looking for a good fringe bag since a long time but just couldn’t find the right one, so the moment I saw this one here, I knew I wanted it! 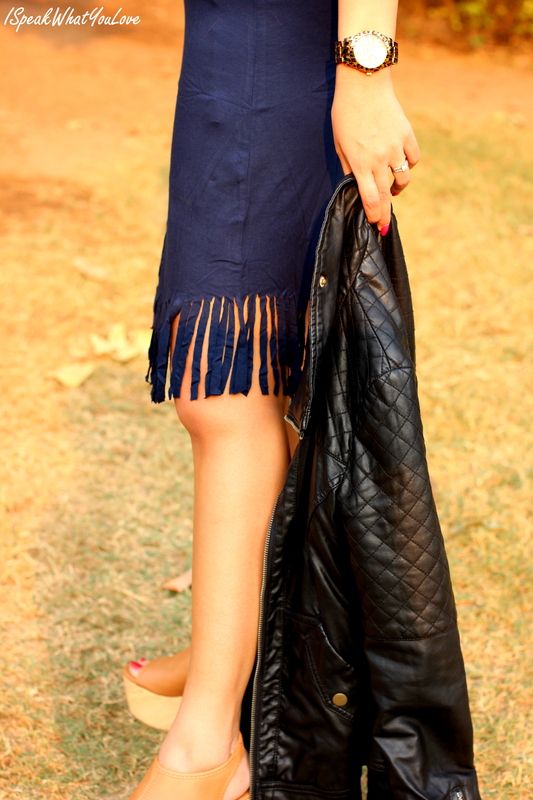 Same goes for this asymmetrical fringe dress which is quite different from the usual and yet so perfect for fall. I love how the fringe brings out the vintage vibes while adding a touch of boho-luxe to the entire look. While including fringe in your outfit, be careful that you don’t go overboard with it. Stick to one fringe item and let it be the star! Do subscribe to my Youtube channel ‘Naina Ruhail’ for all new makeup tutorials.